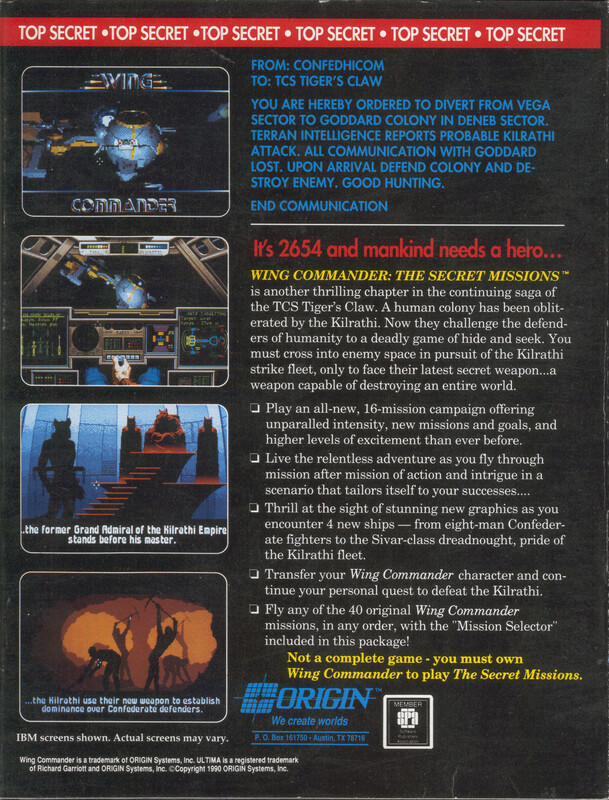 Wing Commander: The Secret Missions is another thrilling chapter in the continuing saga of the TCS Tiger's Claw. A human colony has been obliterated by the Kilrathi. Now they challenge the defenders of humanity to a deadly game of hide and go seek. 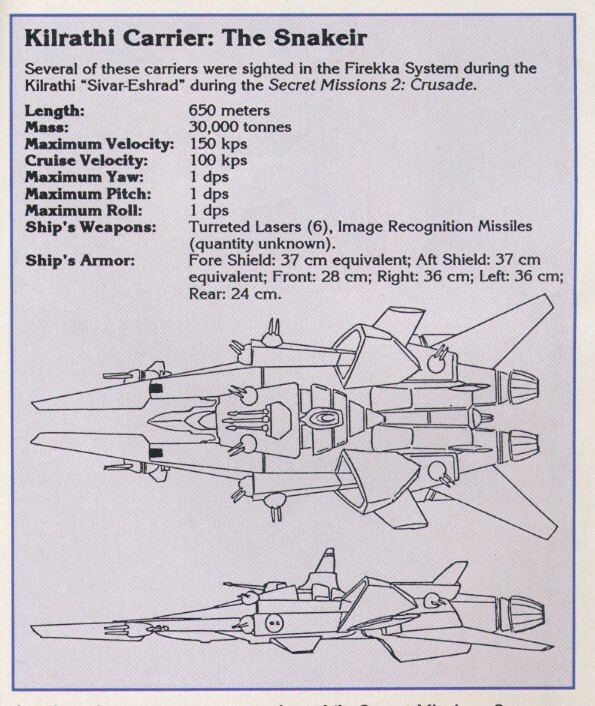 You must cross into enemy space in pursuit of the Kilrathi strike fleet, only to face their latest secret weapon -- a weapon capable of destroying an entire world. The original works quite well in DOSBox. The Good Old Games digital rerelease is another easy way to play this title. The original release. A boxed expansion pack. Kilrathi Saga owners may download the Secret Missions free of charge. 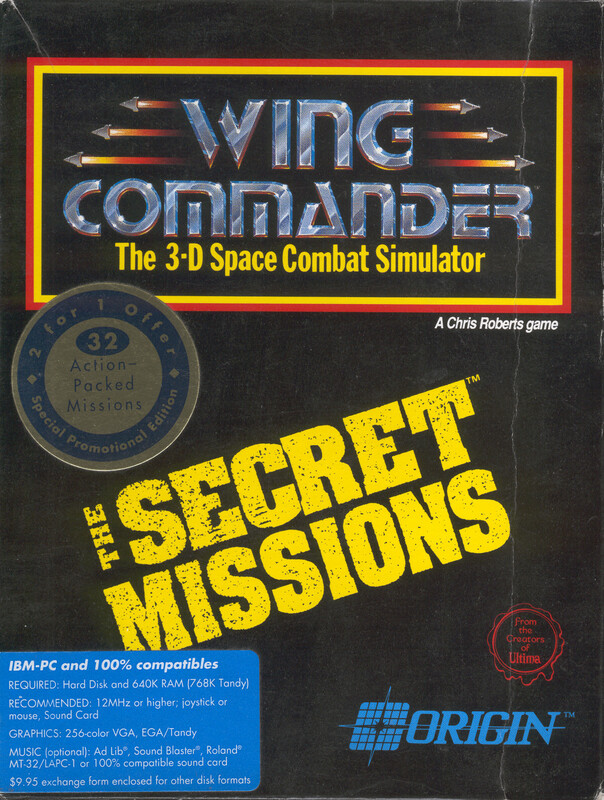 The EA Replay edition of Wing Commander I includes the Secret Missions. The GOG edition of Wing Commander I includes the Secret Missions. A standalone version of the Secret Missions.